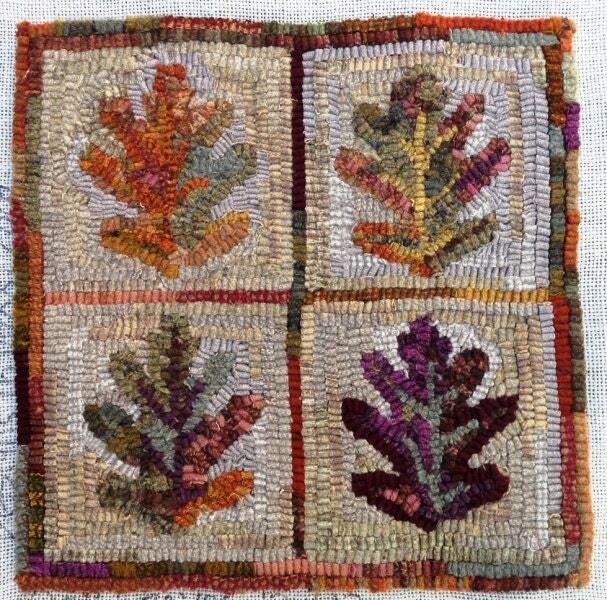 Rug hooking PATTERN "Oak Leaves". 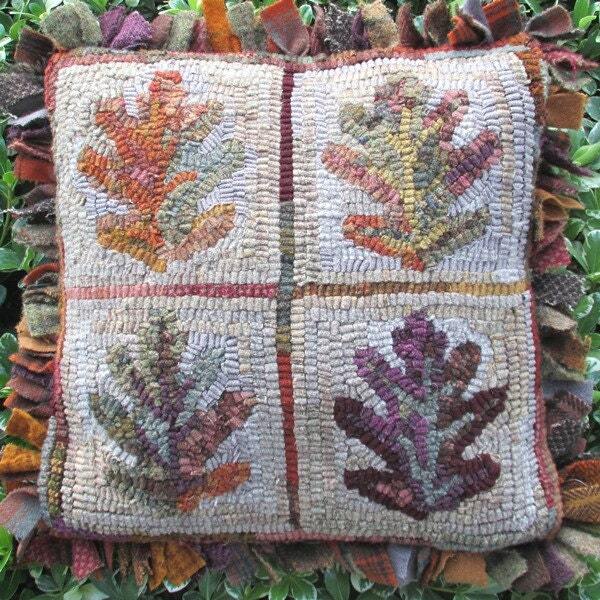 This design is 12" x 12" and comes to you ready to hook. 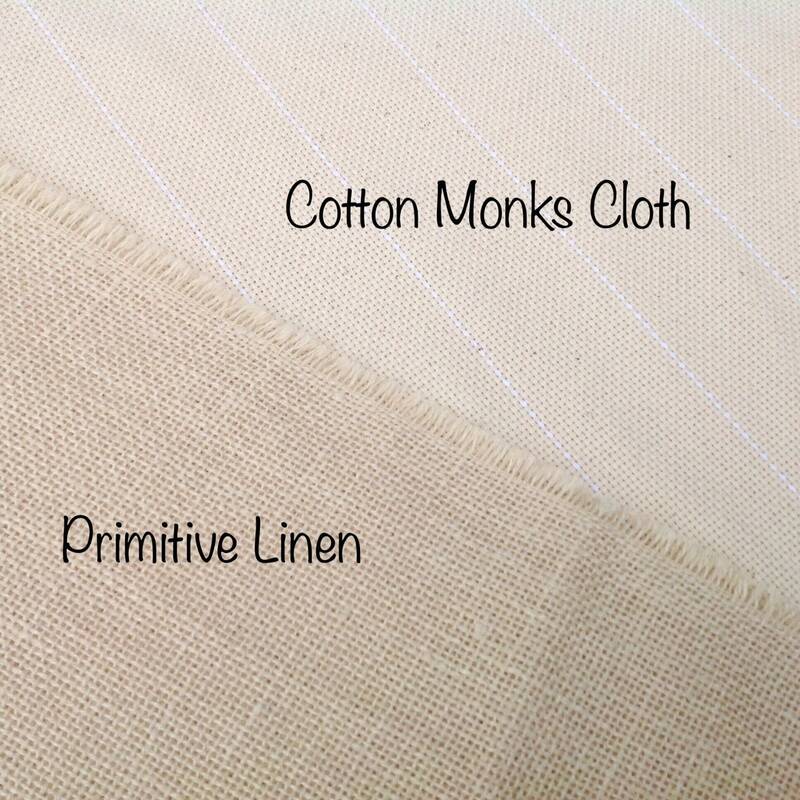 You can order this pattern on either cotton monks cloth or primitive linen (see FAQ for more info). There is a 4" border on all sides to make it fit on most lap top frames or in a 14" hoop. I have serged all raw outside edges of the foundation fabric to prevent raveling while hooking. The finished rug was hooked by my friend, Becky, with lots of leftover 1/4" wool strips in warm Fall colors. The background is a mix of different textured off whites and tans and the border is a hit and miss of same autumn colors used in the leaves. The second photo shows how Becky opted to turn her rug into a pillow and prod the edges with wide wool strips in the colors of the rug. How cozy and warm, just ready to tuck into the corner of a chair or sofa or that bench on your front porch. The finished rug is used as an example only and is not included in the listing. Awesome pattern! Just love Designs in Wool!